It's been a relatively long wait for fans of Mandolin Orange for the Folk/Americana duo to drop a new album, but the wait is finally over! Tides of a Teardrop, the band's sixth album is due in February and what comes with a new album, a brand new tour! The pair embark on a cross-continental tour of North America in 2019, bringing you their bluegrass sounds. 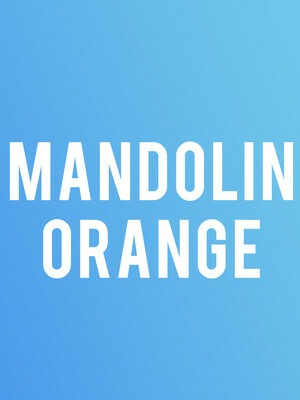 Formed in North Carolina in 2009 and made up of Andrew Marlin and Emily Frantz, Mandolin Orange have been bringing their soulful sound to fans across the globe. With their use of violin, guitar, banjo and mandolin (of course) Mandolin Orange's music has been lauded as a modern take on authentic Americana music. With intricate melodies and incredible vocal harmony Mandolin Orange radiate with mysterious warmth, bringing a sense of home comfort to anyone who hears it. Some venues have age restrictions, please check with the venue before booking tickets. 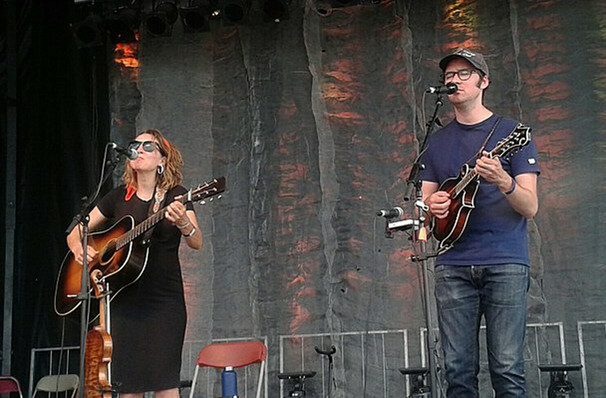 Seen Mandolin Orange? Loved it? Hated it? Sound good to you? Share this page on social media and let your friends know about Mandolin Orange at First Avenue. Please note: The term First Avenue and/or Mandolin Orange as well as all associated graphics, logos, and/or other trademarks, tradenames or copyrights are the property of the First Avenue and/or Mandolin Orange and are used herein for factual descriptive purposes only. We are in no way associated with or authorized by the First Avenue and/or Mandolin Orange and neither that entity nor any of its affiliates have licensed or endorsed us to sell tickets, goods and or services in conjunction with their events.